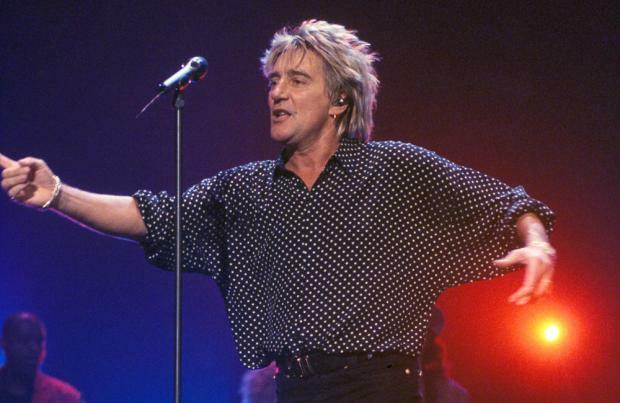 Rod Stewart "had the runs" before the biggest rock concert in history - and was treated by a Witch Doctor. The 'Maggie May' hitmaker performed in front of 3.5 million fans on Copacabana Beach in Rio De Janeiro, Brazil in 1994, and the iconic musician has admitted he was very ill after eating a meal that left him with an upset stomach. Speaking on the 'Watch What Happens Live with Andy Cohen' after show, he revealed: "Before the show, I'd eaten some food and I had the runs. "I was in a real bad state, they called a Witch Doctor, he gave me a jab, and I was alright... just about." The huge concert - which entered the Guinness Book of World Records as the biggest audience in rock history - was so vast that Rod laughed at the way the sound travelled for people watching further round the beach. He joked: "By the time I'd sung the last note of the song - they had speakers every 200 yards - they were just listening and I was already in the car going home." The influential singer also reflected on his career as a whole, and explained how grateful he is for his fans - while insisting he has no regrets. He added: "I've enjoyed every moment of it, and without sounding corny I have to thank the public, because without them I wouldn't be where I was. "I wouldn't change a thing. I've had a joy ride and I'm so grateful."